Seed to Seal is Young Livings way of verify the quality of the oil in every bottle. This is also why I choose Young Living for my families health. Here is a video that tells a little more about how and why I choose Young Living. 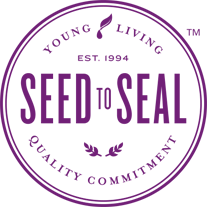 You heard me talk about Seed to Seal in my video, now you can dive deeper into exactly what Young Livings SEED to SEAL is and learn all about it yourself. I hope this helps you see why I trust Young Living essential Oils for my family. I hope after reading this you too can see why I choose Young Living oils for myself and my family. Quality is very important to me and to them too. They truly are so amazing.